Of all the carnivals, the Rio Carnival is without doubt, the real deal. This is the time when Cariocas are at their best, and why won’t they be when Rio is known as the Carnival Capital of the World. The fact that most people call it the greatest show on earth means there has to be something about it. The four-day celebration begins on Saturday and ends on Fat Tuesday, the day before Lent. There is distinctly a vibrant, licentious air in Rio during the Carnival, with many even referring to it in fun as a sort of ‘carioca madness’ that is seemingly contagious. To find out if this is the party for you ask anyone in Rio who has celebrated the Carnival. Many will say this is a once in a lifetime experience and should not be missed. Each samba school has 80 minutes to parade down the strip at the Sambadrome. 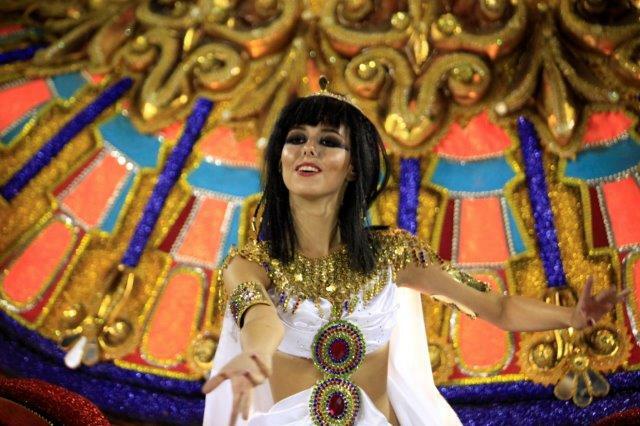 The Carnival kicks off with the opening ceremony on Friday where King Momo is crowned by Rio’s mayor. In the evening a children’s parade sets the tone for the next four days of revelry combined with an intense show of dance, theater, arts and music. On Saturday, members of the Access Group strut their stuff in the hopes of joining the major league players. Sunday and Monday are reserved for the 12 best samba schools vying for the championship spot where six of the finest march on each day. All roads lead to the Sambadrome on Carnival nights. It is advisable to take the subway or a taxi to reach the stadium. Admission is around $ 200 for the grand stand, with seating arrangements priced anywhere between $200’s to $1,000. However, it is even more fun joining the samba parade. To be able to participate in a samba school parade go to one of the tour agencies that specializes in the Carnival. For example, Rio.com offers elaborate costumes that are made for the samba schools’ Carnival show. Simply purchase a parade ticket and a costume and show up on time at the Sambadrome and you will be able to be an active Carnival participant. The costumes will even be delivered right to your hotel room. If you are a reveler that is looking for a glamorous night during the Carnival in Rio, you can’t miss the Magic Ball at the chic Copa.